George Bagshawe Harrison (1894-1991) was a renowned scholar and critic who produced many books on Elizabethan and Jacobean literature. 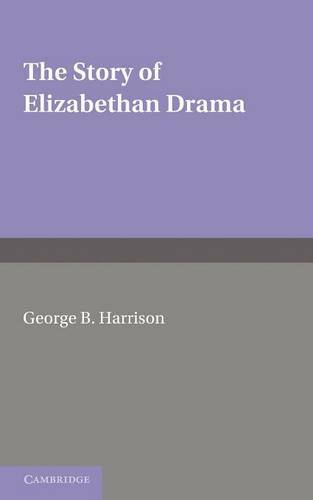 In this volume, originally published in 1924, Harrison provides a concise introduction to the development of Elizabethan drama. The text contains information on key figures and their contributions, together with analysis in a broader cultural context. Observations are reinforced by abundant quotation from plays, together with carefully selected illustrative material. This is a highly readable book that will be of value to anyone with an interest in dramatic criticism and the Elizabethan period.